Tidal Royalty Corp (CSE: RLTY.u) is a provider of royalty financing to the US regulated cannabis industry. The company’s business objective is to provide capital solutions to companies in the legal cannabis industry with large-scale potential and highly-skilled and experienced management teams to grow their business. This report identifies various reasons why a major repricing to the upside seems likely over the coming months. This investment thesis can be broken into 5 key points. Increasing momentum in the United States towards the descheduling of cannabis; a market estimated to grow north of $75B in annual sales. Tidal Royalty has signed Letters of Intent (LOIs) and are doing their due diligence on deals that should lead to unlocking massive shareholder value, if successfully implemented; aiming for deals that would receive 15% of topline on various companies expecting to generate over $50M in annual sales. Tidal has a CEO who has previously structured deals that set the framework for one the largest cannabis companies in the world, the Cronos Group. The company has engaged with a long list of promoters who have participated in various rounds of financing. The deal flow combined with the promotion will lead to share price appreciation. This will be followed by raising money to complete the deals from point two. In summary, we believe the company has enlisted the service of promoters combined with signing LOIs designed to push the stock higher. There is a large number of promoters and bankers behind Tidal Royalty that were involved in Cannabis Wheaton, a stock that saw wild returns in 2017. We believe there are two main stories from Canada that give us a sense of the blueprint for Tidal. Paul Rosen’s former company the Cronos Group and Cannabis Wheaton (now named Auxly), a company setup by many of the same bankers who financed Tidal’s capital structure. 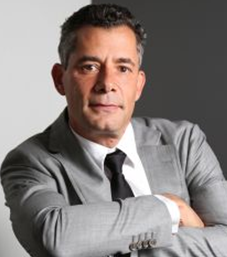 Cronos Group started out as a merchant bank named PharmaCan led by CEO Paul Rosen. PharmaCan listed on the TSX Venture in November 2014. The plan was to invest in companies that received a license for medical marijuana or were in the process of applying (in which case additional investment was conditional upon license approval). 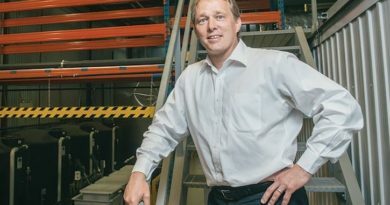 When they first went public they raised $12.9M and had invested in 7 companies, 3 of which had already received their MMPR license (Peace Naturals, Vert, and In the Zone) and various others which would later go on to be successful public companies such as ABCann, Namaste Technologies (CannMart) and Hydropothecary. In the fall of 2015 the company had a long battle with the Barnes Family Trust for ownership over Peace Naturals. PharmaCan had the First Right of Refusal to purchase the entire equity of Peace. In May 2016, Jason Adler’s group Alphabet Ventures LLC came in and invested in PharmaCann, purchasing a controlling stake. Next they replaced Paul Rosen with Michael Gorenstein and raised enough money to acquire a 100% interest of Peace. Later that year, PharmaCan changed their name to Cronos Group and in 2018 listed on the NASDAQ. Between 2014 to 2018, the stock price went from a low of 10c to reaching a high of $19.81. Cannabis Wheaton started out as a financial company called Knightswood Financial. 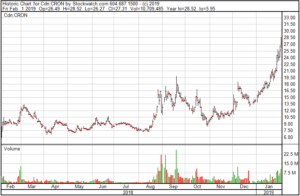 The move to cannabis began when Knightswood Financial started out offering a private placement with “special warrants.” They offered 18.1M special warrants for 1 common share at 5c and 1 warrant at 7c. Next Knightswood financial ended all current related business operations and contracts; the CEO also resigned. The company then announced a 3 to 1 forward split, taking the share count from 49M to 147M. They announced the split on March 24th and by April 7th, the share price had increased from 30c to $3.19; which later was adjust to $1.06 after the forward split. During this period of nearly 1,000% return Knightswood financial had zero cannabis related news flow. It wasn’t until April 9th that they announced their first cannabis deal. On May 5th, they changed their name to Cannabis Wheaton. The plan behind Cannabis Wheaton was to do “streaming deals,” where they would make investments in companies in exchange for future claims on production. Many saw this as a brilliant plan, rendering investees uneconomical, allowing Cannabis Wheaton to buy out the full equity at cheap multiples. Although the plan was brilliant, many couldn’t wrap their heads around special warrants which actually led to a botched financing deal. And the share price sits today where it did when they first started announcing the deals. Cannabis Wheaton changed their name to Auxly Cannabis Group on June 8th, 2018. 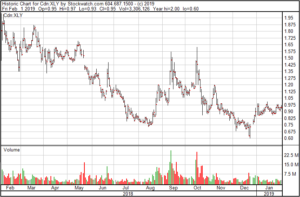 California Vitalis Extraction Technology Up to $5mm No Royalty based on number of grams produced, by equipment sold to US operators of extraction equipment. California Palm Desert Cannabis Company $5mm Yes – Option 10%, plus 5% after certain conditions are met. California / Nevada Lighthouse Strategies $5mm equity + 1% royalty (on some beverage lines) Yes 1% of the net sales of certain of Lighthouse’s beverage lines, including Cannabiniers, Two Roots Brewing Co. and Creative Waters Beverage Company. 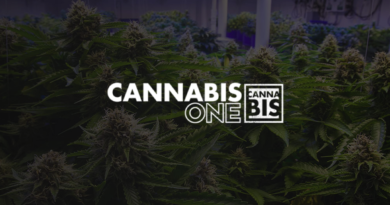 Illinois Illinois Cannabis Company Up to $41mm Yes – Option 15% on all Illinois Cannabis operations. Plus right to buy company. *Indicates deal has reached definitive agreement. Otherwise deal is currently at LOI stage. Based on their investor deck Tidal Royalty claims to have various other deals at the diligence stage or late stage of negotiations. Let’s take a look at a standard deal, such as the Illinois deal where they are looking to invest $40M in an operator that is expected to produce $90M in revenue. For this deal, they are expecting to take 15% of the top line. This deal would generate cashflow for Tidal Royalty of $13.5M per year and if we apply a public market 15x multiple on that, we can quickly see that the brings the company $200M in value alone. This gives the company a 5x multiple on that single investment. Not to mention the possibility of Illinois going full recreational and that revenue amount could increase. Of course, this is very “blue sky,” as this company is presumably pre-revenue (or close to it), so the end result carries a large amount of risk and forward looking assumptions. On September 7th, Tidal announced they signed a definitive agreement with Diem Cannabis (“Diem”) to finance Diem’s expansion into Massachusetts. Diem is an experienced licensed operator in the highly-competitive Oregon market. The company — founded by executives with Silicon Valley and Wall Street experience — has cultivation, retail and home delivery operations in Salem and Portland. Diem is known for its unique retail experiences that create safe, inviting environments for new and experienced consumers. Leafly — the largest cannabis website in the world — ranks Diem’s Salem retail location as one of the top dispensaries in Oregon, calling the store “downright beautiful” and “Instagram-worthy”. The LOI terms state Tidal Royalty will provide Diem with up to US $12.5M to finance the purchase and construction of a large-scale cultivation and processing facility, and the purchase and construction of 3 dispensaries. In return, the Oregon Cannabis Company will pay Tidal Royalty 15% of all net sales generated by the financed operations in Massachusetts in perpetuity. Of the LOI’s announced thus far, we believe the largest one that Tidal Royalty has in the works is in the state of Illinois. The potential investee, labelled on the News Release as “The Illinois Cannabis Company,” currently operates a state-of-the-art 75,000 sq. ft. facility that uses highly-advanced plant monitoring technologies to precisely track plant inputs and other critical control factors in order to achieve optimal production yield and consistency. The Illinois Cannabis Company will use proceeds from the financing to expand their existing cultivation and manufacturing facility, as well as pursue acquisition of additional strategic assets that will increase market share. Royalty Financing: Tidal Royalty will receive a 15% net sales royalty on all the Illinois Cannabis Company’s Illinois operations. This includes both net sales generated from existing cultivation and dispensary sales, as well as incremental sales generated by the planned expansion. Equity Investment: Tidal Royalty will purchase the Illinois Cannabis Company’s common shares at an agreed-upon valuation. We believe the US Cannabis market is rolling over from illegal to legal and this is a once-in-a-lifetime type event for investors. The end of cannabis prohibition in the United States is compelling for a variety of reasons. Firstly, the demand curve is assumed to be around US$55B, 80% of which are consuming black market products. After legalization that number will more than likely grow. Many potential consumers may gain an interest once they can legally attend approved stores and make a legal purchase from a well known brand. 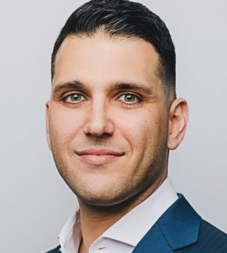 The CEO of iAnthus Capital Holdings has described the US cannabis market as a $1 trillion dollar market capitalization opportunity; assuming a regular way industry will reach around $200B sales at 5x. Secondly, because cannabis is considered a Schedule I drug on a federal level, it makes institutions very wary about participating. In fact, the TSX, NYSE, and NASDAQ will not allow any companies that “touch the seed” in the US to list. As a result your largest Canadian operators cannot participate in any US based operations. Aprhia Inc made a large investment in Florida based Liberty Health Sciences, but has divested after being pressured from the TSX. This is compelling for retail investors as generating extreme returns often involves picking stocks before institutions invest. 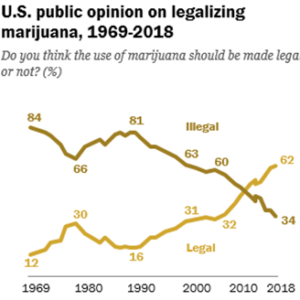 A Pew Research Center Survey, shows that around 62% of Americans say the use of marijuana should be legalized, reflecting a steady increase over the past decade, nearly double what it was in 2000 (31%). And most polls show nearly 90% of Americans favour medical legalization of cannabis. Rohrabacher-Blumenauer is US legislation prohibiting the Justice Department from spending funds to interfere with the implementation of state medical cannabis laws. This law mitigates risk for the industry, as right now there are many lucrative medical markets that create great opportunity for investors to participate in. In December 2018, the Hemp Farming Act passed, a law to remove hemp from Schedule I controlled substances, making hemp an ordinary agricultural commodity. However, there is still some degree of clarification required, as the FDA still considers CBD products illegal. The share structure for Tidal Royalty thus far is quite complicated. There have been 3 main rounds. 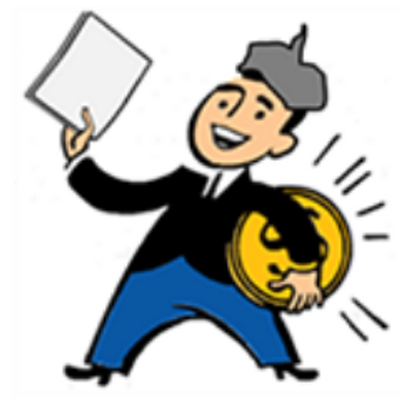 A special warrant round consisting of 1 – 5c common share and 1 – 5c warrant with a 2 year expiry. A preferred share round, consisting of 1 – 5c preferred share convertible to common and 1 warrant. One straight common round for 1 common share. It is important to note that the prospectus lists the fully diluted number as 473M, we were unable to identify the additional 27M shares through reading the prospectus. Until we can get a call with management, this is what we were able to put together. Dilution. Tidal will need to raise money. At what price are they able to raise? This is probably the largest risk to projecting a target price. Quality of the Deals. We feel the sooner they are able to complete their diligence and turn LOIs into definitive agreements the better the balance of the price and quality of deals they are able to receive. 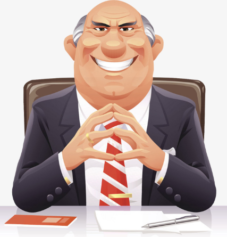 It is also important to note, we have some level of skepticism that there are any Florida or New York license holders still seeking financing deals, that would consider a 15% royalty contract or an outright equity sale. The Promoters. If one were to look at the names involved in both the 5c special warrant round and the 33c round, they might have some concerns that many of the investors may be in a rush to unload their “cheap paper” as soon as possible. Ability to Raise Money. We feel that there is tremendous value in these deals, however if they are unable to raise money then the company simply will not be successful. Cost of Raising Capital. The placements the company has issued in the past have been expensive in terms of fees. Warrant Overhang. The company has over 110M warrants at 5c CAD outstanding. Political and Legal. The United States could further retard the decheduling momentum in the US or rollout laws that change the economics of these investments. There is even a possibility the US begins prosecuting those who operate in cannabis in cases where the operator is complying with state laws. Many would consider the political/legal side of the thesis the main risk. It is unlikely we will ever see an opportunity where an industry with a known demand curve into the billions has public companies struggling to find investment dollars where they hold oligopolies with cash registers. This environment has created an opportunity where prudent financiers understand the arbitrage in taking an asset private to public and receiving an instant 5-10x the day the companies turns public. Tidal Royalty provides a fantastic opportunity for retail investors looking to get exposure into this arbitrage. The author is currently long shares of Tidal Royalty Corp which were purchased in the open market. The Deep Dive has no securities or affiliations related to this organization. Not a recommendation to buy or sell. Always do additional research and consult a professional before purchasing a security. BRIEF: Emblem Corp – Why the Selling Pressure?